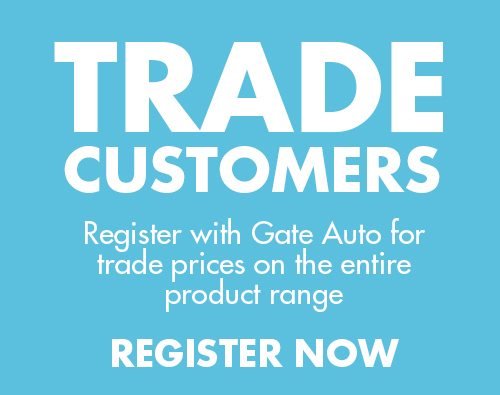 The Home Of The Electric Gate Experts | Gate Auto UK › What Type of Garage Door Opener? We have electric garage door kits to automate any type of garage door. Each type is automated differently and some require an adapator to make it possible, so if you are unsure what type of mechanism you have then please use the guide below. To make it easier, you can select the garage door kit suitable for your door type in the content below. If you are in any doubt and would just like to talk it through, then please call us on 01282 677300. Retractable garage doors (more commonly referred to as ‘up and over’ doors) swing fully outwards as they open and then slide away in to the ceiling, pivoting at the top of the door. Spring assemblies are fitted to the side frames and there are tracks at the top. This is the easiest type of door to automate. 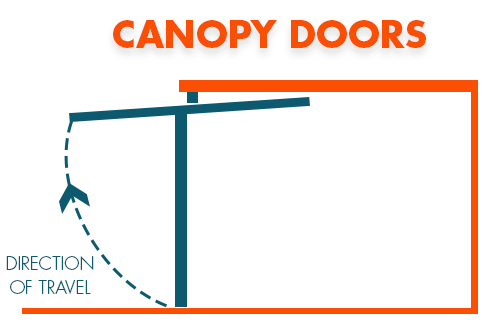 A canopy door (the other type of ‘up and over’ door) swings outwards but not as far as a retractable door and slides back in to the garage ceiling, leaving approximately a third protruding outside the garage opening. The pivot points are located 2 thirds of the way down the door. In order to automate this type of door you will need the canopy garage door adaptor. 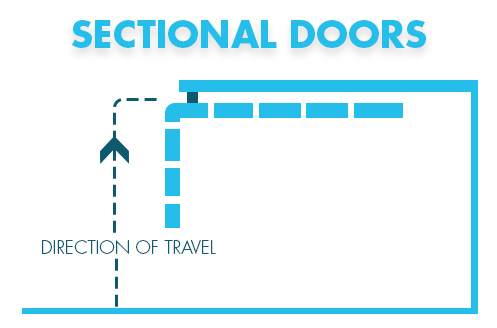 Sectional doors (sometimes known as shutter doors) are made up of separately hinged horizontal sections which rise vertically and slide backwards in to the ceiling space along tracks. This type of door is mainly purposed in commercial and industrial premises. 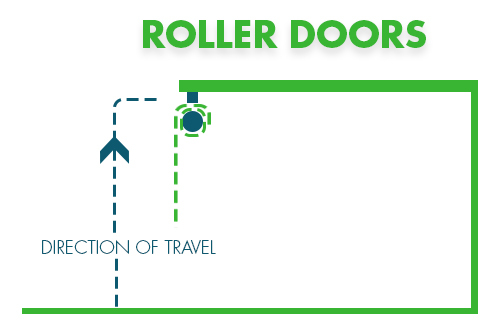 Roller doors consist of a single curtain sheet which rolls around a drum at the top of the garage door. This type of door is commonly found in both commercial and residential premises. 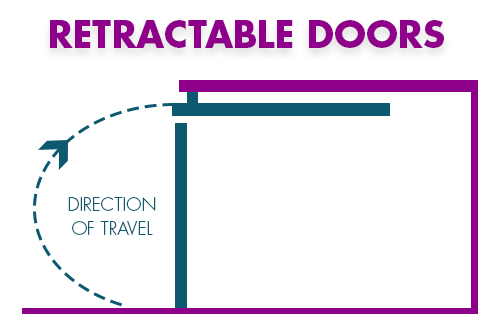 Whilst there are operators which can automate this door type, it is an item which should only be professionally installed by a qualified engineer.